You have heard ICOs in gaming, virtual reality, marketing and IT. But there are many other applications for tokens including in selling and renting real estate property. Most work on the idea of exposing investors to tokenized real estate property. Investors are thus able to earn profits from sale or rent of the acquired property or the growth in the managed property portfolio value. However, there are also lending platforms that allow either owners of real estate property (through tokenized collateral) to access home loans, mortgages or real asset financing loans, or those that have own cryptocurrencies backed by real estate and allow holders to use the crypto as collateral in acquiring the loans. Below are some of the tokens to consider in real estate. Acadia is based on the idea of purchasing property, restoring the buildings, selling the property at profits, and having token holders share in the profits. Holders can also sell tokens on exchanges apart from expecting profits. It offers a quick investment option and a very low minimum to invest in real estate, namely 0.01ETH. There will be a host of other benefits that the platform brings for cryptocurrency holders apart from passive income. They just concluded their ICO on May 27 and want to start buying the property in the coming quarter of the year and selling it in the forth quarter to give 55 percent of profits back to token holders. They will reinvest part of the money to buy more property. Agent Not Needed allows users to sell property directly online, without agents using ANN tokens. Buyers, sellers, tenants and landlords can communicate directly online, as well as arrange viewing and make offers easily on the platform. It seeks to eliminate some problems eminent in current property markets including high costs for sellers, with some agents charging as high as 10 percent and upfront fees, gazumping where real estate agents ant higher commission, buyers paying for viewings and poor communication. Other difficulties include a higher transaction time, errors and risks in paperwork and documentation and registry, problems in process tracking and a high chance of deal failure. These problems multiply when international property buying and selling is involved. The company launched their platform on February 1 this year, and research and development of smart contracts and blockchain will kick off in the second quarter of the year. Rental service development will be done in the end of second quarter of this year while launch of rental service will take place in the third quarter of this year. The mortgage lead auction system will go live in the third quarter of this year. The in-house conveyance service will launch in the forth quarter. The ICO ended on March 31. Atlant wants to facilitate tokenization of property and ownership and global P2P rentals. It establishes a market where real estate tokens representing shares in individual real estate assets, can be traded. In this case, an owner of a property who wants to sell the property but is having a hard time finding the buyer or is not receiving competitive offers, will put a request for listed on the platform after they provide the required information. The company will verify the assets against the requirements. This is done through a qualified authority or an attorney who checks for debts, cleanliness, and other parameters. P2P rentals will significantly reduced fees for both tenants and lessors. A special purpose vehicle (SPV) is founded to own the property in its entirety. Atlant DAO will then tokenize the asset into tokens with 1 token being equal to 1 mm2. Listing of the tokens is done after tokenizations, through the Property Token Offering (PTO) and individuals and businesses around the world can then buy these asset tokens. This means they acquire a fraction of the ownership. When the full amount of tokens are bought, the seller or original owner of the house or asset is paid and investors get their GMT tokens. These PTO tokens will be available for trading on the ATLANT DEX (decentralized exchange). This is a secondary market for these tokens. Anyone can buy or sell even the smallest of the property as desired. Holders of the property token get a profit share in proportion to the number of tokens owned and monetize changes in token prices. The company held an pre-ICO in August 2017 followed by an ICO in September. The prototype started working in June last year with a legal structure in place since August 2017. The ATLANT Network Alpha launch took place in September 2017 while token trading launch took place in November 2017. Finally, the ATLANT Platform launched in March this year, with P2P rentals launching in April. They are currently partnering with government blockchains. The mission of AVC is to replace the way you find your next real estate agent. They raised 1 million coins in 48 hours. The system hosts agents but these agents use The Atom Villa Coin and this saves customers a maximum of 5 percent of a home's price as commission when they find a suitable local Atom Villa Coin real estate agents. For buyers, only 20 Atom Villa Coin will be needed to get the maximum rebate on the average home purchase. Further, the commission will in future be set by a free market based on the price of the coin. Sellers can also use these agents to list their property at low cost. Instead of the current 5% or 6%, they can pay 1%. It means they get more profits to keep from the sale of their homes. Their pre-sale begun on March this year and the crowdsale started in the end of the same month and ended on April. The application will also be made available on iOS and Android. The token would be compliant with regulation including the KYC, AML, Accredited Investor verification, and the HOWEY test. They are issuing a SEC registered SAFT variety of AVC to anybody who buys more than 1,500 AVC tokens. Berry token is managed by Silicon Valley-based firm Rentberry, a rental platform that allows participants to bid on apartments for rent. The company was formed in 2015 and raised $4 million in venture capital. The blockchain platform allows decentralized rental experience such as automated personal information, credit reports and custom offers, e-signing rental agreements and online rental payments using the tokens. The ICO launched on 5 December last year and concluded on 28th of February 2018. BitRent connects property developers with investors, and basically want to facilitate investment in commercial and residential property at the early stage of construction with profits set to accrue from selling and renting out acquired property. Property owners will be able to rent or sell property to willing buyers. The innovation is from an established construction company that started in 1995 while the idea started last year April. The platform will launch next month in 10 countries. They will then launch in 25 countries in October. With the platform, buying hotels, businesses and shopping centers will become easier and affordable for anyone regardless of their location. In other words, investors can invest small amounts into target projects (what they choose from the listings) at any stage of construction (and pay in cryptocurrency via smart contracts) to own a share and share in the profits. It will have a decentralized registry. The investors will submit offers to developers who can accept them by digital signature. The intermediaries will still perform their functions which include contract analysis, notarial procedures and etc. At the same time, users can share critical real estate information in real time thanks to the Building Information Modeling and Radio Frequency Identification technologies. Participants are able to check all investment objects online in real time. BitRent cryptocurrent or RNTB is already selling on YoBit and HitBTC exchanges. Presale took place on November last year while the public ICO started 10 January 2018 and ended on Mar 31. Brick Block works just like any other asset tokenization platform but with differences here and there. It allows customers to sell and invest in tokenized assets on the blockchain including real estate. Once the asset owners tokenize the assets, the platform offers the Proof-of-Asse (PoA) tokens to willing buyers and these tokens legally entitle the token holders to profits from asset value appreciation. The company raised more than $12 million USD from 3-stage ICO (concluded in May) together with private investments. The good thing with this project is that it is a working product, having successfully executed private tokenized real estate sale in December last year. Their smart contracts are also approved by industry-leader ConsenSys Diligence. The most obvious questions for these platforms would be why an asset owner would want to tokenize an asset? Well. Once they decide to sell, selling through tokenization comes with many benefits: low fees hence more profits from sale of property, no agents hence more profits, no much paperwork and delays, no geographic restrictions, minimum amounts from different investors, minimal counterparty risk, and quick settlement of transactions. Token holders can ear profits from every transaction by activating the Brickblock tokens (BBK), in addition to trading them. The company is also building the world's first decentralized asset-backed token exchange on Ox protocol and it will feature a fiat payment gateway. They also run the Brickblock Fund, an actively managed fund of crypto and real-world assets, capitalizing on trading asset-backed tokens. If you want to try this project, one property has already been offered and tokenized. Caviar, which uses the cryptocurrency CAV, seeks to combine investments in cryptocurrencies with short-term loans backed by real estate. Income and growth will result from reallocating funds between crypto and real estate markets through exposure to dual market in a single token. The company uses a AI and machine learning based platform for price forecasting in short and long term projection timescales. It will employ historical data and a mixture of time-invariant qualitative/quantitative metrics in combination with analysis of underlying cryptocurrency ecosystem, social signals and trends. They will use real time data to make real time judgements. The project is run by Caviar Capital, which was established in 2013. Token sale was concluded in January this year. It will act as a platform for real estate developers to raise funds, for instance while Caviar token holders can expect profits or interests. According to their website, they started deploying funds into crypto-markets and real estate this last March after audit by Richey May. First quarterly profit distribution to token holders will happen this July. The Caviar Platform beta will be released in the third quarter of this year and Caviar Platform GA in the forth quarter. CSA Estate is a company that hopes to help users sell and invest in real estate property easily and with little amount of money. With it, people can invest in real estate and expect to be paid dividends as token holders, following appreciation of the property and business activity -- including rental business and hotel business. They also hope to generate profits from speculating real estate property. With it, people can buy into the company for as low as $10 according to their website. They will have web platforms and mobile apps that can help traders to sell and buy properties and analytics on the CS Agent Application can help traders speculate the market better for more profitable trading. The ICO was expected to finish this May. DomusCoins has just raised $1,000,000 in an ICO that concluded on April 30th. It works with the idea of token holders sharing in the profits from gains derived from the management of rented or sold properties, as well as from the DOCs appreciation. Holders can also pay the coin for stays and holidays in the apartments of the DomusCoins’ network. These coins are tradeable on exchanges. The startup, which is incorporated in London, UK and with an operating office in Dubai, is expecting an appreciation of 100 percent on all property and thus the coin in the first year. They only deal with property located in "the most beautiful and important cities in the world" to make sure they won't lose value. They are starting with Dubai real estate and then they will expand to other major markets. The company can also issue new coins in case of deflation to increase and consolidate the minimum value of all DomusCoins including those bought at a lower price. EstateX is entering the $162 trillion market to make the buying and selling of property quick and painless using smart contracts on the blockchain. On it, anyone is able to prove ownership of their house and property and then list to sell it directly to buyers. An important factor in cost reduction is the automation of legal contracts and fund payments, as well as removal of duplicate inspections, valuations and surveys. Increased competition between banks, real estate agents and lawyers will also help drive low the fees. Any buyer or customer (mortgage lender) will be able to go to the best provider depending on the fees. The technology uses ownership ledger, the debt ledger and the property events ledger. They are also currently evaluating automated identity verification systems for use in the systems. Selling of the property will be done as per the legal jurisdictions where the property exists. Holders of EstateX tokens will get privileges to share in the profits accruing from selling and renting of property. Sellers will pay as low as 0.5% of the value of property sold and this will be distributed to token holders. Token holders will receive a share equivalent to the number of tokens they are holding. It will also bring onboard banks that can still pay full upfront cost of mortgage. They can also lend mortage to anyone regardless of their and the client's location. The company has been holding a pre-ICO and ICO since September last year to March. Etheera is currently holding an ICO which concludes on Friday. The platform entered beta in the second quarter of last year. informative exchange with business partners, owners, landlords and potential buyers. The portal app is available for iOS and Android. The token is already on sale at Binance and OKex and other exchanges as well. The project is all about faciliatating easier and quicker international purchases, rental for property, as well as bed and breakfast offers. Users will be able to use the platform to search for property listed by or for brokers around the world. They can find the list from advertised property. Those selling can find the right broker. Persons will also be able to pay for property purchases and rentals using Etheera, Bitcoins, Altcoins or by PayPal and credit cards. It will have peer-to-peer sales and rental features but also suitable place for business partners, property owners, landlords. It will also have other integrated tools including CRM functions, calendars, callbacks, newsletters, visits and publications, inbox and outbox, ability to add external APIs and services, data imports and exports, document creation and ability to create estate estimates. It will pack its own token economy to facilitate payment of service and products. Token holders are entitled to profits generate from the exchange platforms. Etherty is a platform on which property developers and property owners from all over the world can list their property to sell it or just raise funds for development. Property investors, on the other hand, can search the listings and buy property shares (or tokens through their ICO). Investors can trade these property shares from any listed property. Users can also book services from the platform's one-stop services offerings in variety of places. The company, which has already raised more than $5 million from the first public sale and hopes to hold the second on October and third on December this year, already has a portfolio of properties spread across 3 continents. The startup launched the private access web portal and implement blockchain and their mobile app prototypes last November and December. They will launch the Property Token Exchange Platform Launch in the third quarter of the year and mobile apps in the forth quarter. The Ehab Vision is rethinking solutions for our cities and urban centers of tomorrow by working on a platform to help experts and the people come together to build the cities of their dreams. It hopes to revolutionize urban development, housing innovation and boost use of latest housing technologies. The platform will allow anyone to invest in urban development and housing projects, led peer-to-peer and share in the profits, and all that will be managed by the power of technology -- including AI and IoT into the platform. All that will make it possible to design, fund and build livable, sustainable, smart cities, and hopefully, eco-cities. Enter their CNTC flagship project in which they target to deliver 20,000 homes and office space for 24,000 new jobs over the next decade. They want to deliver 5,300 homes in the next 5 years. They are partnering with Bright forest, which is a company with the most sustainable build systems and ability to build houses at all price brackets; Bromford, a leading innovator in social housing space. Building low cost houses using modern sustainable housing technologies will mean they can offer best houses at lowest prices. Raising funds through crypto platforms and from local and global community means they avoid costly loans. Besides there is a motivation: people holding tokens or contributing to the projects get to share in the success and profits of the project. The token sale ended on April 30. The Group 1 Engineering wants to decentralize Real Estate Investment Trust. It works around the idea of tokenizing real estate and selling the asset tokens (proof of assets or PoA tokens) to investors who can then expect some profits from their investments. The company was begun in the summer of 2017 and received seed investment of $80 million. It develops real estate property in variety of places at highly desired locations and investors can buy this real property using cryptocurrency. The property then increases in value after renovations, up to 30 to 40 percent in the first year of renovations. It uses blockchain that creates immutable records of ownership using the G1E Tokens backed by real estate. Investors are able to avoid 20% of fees to maximize their profits. They have acquired the first property in November 2017 for $59 million in Manhattan -- RM58​, which is a 14th-floors and 102,000 SQ FT property that will have house 100 Luxury Units ranging from 600 to 3000 SQ FT. This will generate rental price of $2,500 to $35,000 a month with a total annual rental return of approximately $5.5MM between living and retail space. Investors will get dividends derived from the net income of real estate portfolio management. Harbor helps to convert rights to an asset into a digital token on blockchain (known as asset tokenization) while complying with existing securities laws at issuance and trading. For investors and asset owners, there is KYC and AML processes. Asset owners can use R-Token to embed rules and ensure only eligible investors can trade their token. they are also able to limit the number of investors and require holding periods. Approved investors are added on a whitelist on the Ethereum blockchain. The R-Token protocol will check for regulatory compliance and accept or deny transaction if the investor is on the whitelist. In other words, this is a platform for regulatory-cautious individual who is concerned about issues such as restrictions on controlled REITs and property ownership. These restrictions could be anything from limits on ownership by non-US investors, minimum investor requirements, taxation requirements, age limits, tax withholding for foreign investors and more. The company raised, in April, $28 million in VC funding led by Founders Fund. Other investors in the project include Andreessen Horowitz, Pantera Capital, Future Perfect Ventures, 1confirmation, Signia Venture Partners and return backers Craft Ventures, Vy Capital and Valor Equity Partners. House Coupon Token is run by a company, NAREIG, that already has real estate business in 12 countries and millions of USD in yearly revenue. It already runs the NAREIG platform that uses the NAREIG token. NAREIG is an international brokerage in real estate, which represents Chinese clients in a broad spectrum of real estate services, including residential, commercial, land development, and related concierge services. The NAREIG token is used to sell and buy houses on the platform but can also be redeemed for HTC and even be traded with other investors in the token market or on public cryptocurrency exchanges. Each token bought at $1 cash value can be redeemed as $100 token value which is $ 100 cash value when clients purchase properties with NAREIG. The token can be used in 12 different countries. HTC has a stable value of $1 and provides liquidity through tokenization. The company held its ICO starting from January 28 to 18 March. Latoken is a platform for tokenizing assets and issuing tokens pegged on the assets. These tokens can be sold on the platform. This makes it possible to use cryptocurrencies in real assets and markets. Rather, crypto holders who want to invest their crypto are able to access diversified investments and assets. With Latoken, asset owners -- including in real estate, equity, debt and commodities such as shares, oil, gold and silver -- can issue and trade assets linked to their assets. The asset owner will sell part of the asset to a LATOKEN-certified custodian. The custodian issues asset tokens that are linked to that asset value. He or she will then sell the tokens to crypto holders. Crypto holders can sell the asset tokens on a secondary market or sell them back to the asset owner on the settlement date. The custodian can also sell the asset at a fiat auction and distribute proceeds among asset tokens' holders. The link between the asset tokens and the underlying assets is legally and technically enforceable. The tokens are listed on the LAT platform and the crypto holders can purchase what asset tokens they deem best for their investment goals and endeavors. The company also runs the LAT Crypto 50 Composit Index which is a crypto market benchmark for funds, traders and Index Funds/ETFs. It offers a basket of a basket of the top 50 tokens by market cap. The platform uses own token LAT for auction sale, used by cryptoholders to purchase the asset tokens listed on the LAT Platform and to pay for transactions. Buying and selling in a P2P market is at minimal transaction costs hence generating maximum profits. The crypto is already trading at Coinexchange.io, KuCoin, Okex and HitBTC crypto exchanges. Their ICO took place between 22 Aug 2017 and 10 Oct 2017. $16 million were raised from more than 9000 cryptoholders. Primalbase Token PBT tokens are issued by Primalbase and only 1,000 PBT coins were issued meaning membership is limited to only 1,000. The company raised 3,000 BTC in a June 2017 ICO. With the platform, participants can share, sell or rent out high-quality office spaces using Ethereum and Waves-based digital tokens. With one token, you have fill access to coworking or shared workspaces at any Primalbase location for one person. These locations or office spaces have broadband Internet access, digital printing, meeting rooms, and other necessary services. Holders can buy unlimited number of tokens. Holders can also rent their tokens using special features on the WAVES platform. The token is trading at $5,680.96 as at the time of writing this article. Propy platform is a decentralized title registry that uses PROP tokens. The Silicon Valley-based real estate tech company held its ICO from September last year and raised $15 million. The company made headlines when TechCrunch founder Michael Arrington bought used the platform to remotely buy a home in Kiev for $60,000 from Ukrainian developer Mark Ginsberg through Propy’s platform. The company said it was first ever transfer done entirely on the blockchain. You can use PROP tokens to purchase property or buy or exchange the tokens in various cryptocurrency exchanges. The token was issued at the cost of $1 in the ICO but was trading at $3.35 as at the time of writing this article. Propy international real-estate marketplace facilitates cross-border payments and transfers. They also facilitate transfer of the title as part of the transaction. The blockchain eliminates the need for signing and compiling piles of paperwork needed when purchasing the property. It also eliminates possibility for fraud. But the ledger also serves as a store of records. You can also search for properties and brokers. Propify is an alternative to Zillow, Zoopla, realestate.com.au and realtor.com and other property portals, but based on a distributed technology that helps in promotion of real estate listings through social media and search engines using consumer insights and habits. The real estate data comes from multiple sources then vetted on the blockchain. With these insights and data, property marketers are able to gain better ROI by targeting behavioral & demographic groups, identifying better sales patterns. The content is also published to their proprietary Propify’s proprietary Block explorer where consumers and professionals interact using a social media interface. The system also facilitates realtor/agency validation and qualification in addition to user interractions. QUALIS solution built by the company also ensures the integrity of real estate content. This system published real estate listings via a No-Portal ecosystem. QUALIS itself consists of the Real Estate Blockchain & the Property Professional Blockchain. It runs the two in parallel to qualify the contents of individual blocks and historical data such as a properties history, real estate agent’s details and other valuable information. The system receives data from sources such as real estate agents, agencies, brokers, and government agencies for the sake of verifying and qualifying agents. With the platform. real estate agents and property owners can find a direct consumer contact and reduce costs while consumers are able to find ideal property of their choice in a more secure and less costly engagement. The pre-ICO took place on Jan 11 - Jan 18 while the ICO ended on Mar 16. Quantmre is based on the idea of tokenizing single family residences and individuals can issue and trade investment tokens that are backed by fractional interest in these homes. This way, people can raise funds without having to take more debts from institutions and token holders can share into real estate profits easily and at low investments. Being backed by real estate means the QUANTMRE Network investment tokens are predictable in prices. The project management is made up of highly experienced real estate, finance, technology, cybersecurity, big data, sales and marketing professionals. The team has syndicated over $500M in commercial debt and fractional equity transactions in the past five years. Homeowners can still sell their home as long as they pay quantmRE the value of the percentage of equity owned by the company and other agreed appreciation or depreciation. Token holders who buy into the project earn profits when there is an appreciation of the underlying real estate assets. New York-based Realecoin's RC tokens hopes to raise a minimum of $5 million (a hard cap of $50 million). Tokens can be paid for in BTC, ETH, XRP, BCH, LTC, USD, EUR, or GBP. The company concentrates on investing in income-producing multi-family housing that needs redevelopment or renovation. Each token will represent a fractional equity interest in the tokenized real estate investment fund. The company considers the ERC20 compliant token to be a financial security governed by U.S. Security Exchange laws. Its value will grow when the held property value grows. See more on the whitepaper. The company was started by Ruben Azrak who is a real estate investor since 1970’s, founder of Phat Farm, and an active cryptocurrency trader. He has also invested in over 140 startups. Realty brings together a global community of realtors and developers from different countries. Additionally, it is built and run by professionals from Spain, Russia, Azerbajan, Gergia and the Czech Republic. Basically, token holders contribute funds (by storing their RCI on the Ether wallet) used to buy or rather reinvested back into real estate. You can invest as little as $100. The company does create hotel businesses and earn profits from tourism, build hotels that canbe sold (should comprise not more than 40 percent of overall fund), sell apart of objects to earn profits, continue investment and create RCI hotel network. Their portfolio currently include $5,000,000 of finished small hotels and apartments, $25,000,000 of finished hotelsand newly built ones, $45,000,000 of newly built hotels. Particularly, 40 percent is invested back into real estate while 60 percent is distributed among the holders. It has an in-built RCI token that is used to make payments and to give holders voting rights for purposes of determining company investments and related policy. Top 20 of their token holders have the right to use the company's hotels and apartments for leisure. Their ICO started on 22nd Feb 2018 to 20th May 2018. Issued by the Barcelona-based Real, REAL will allow you to invest in commercial real estate projects located in any place around the world. Real is not yet live but will launch in March. They raised a total of $11,153,126 in a September 2017 ICO, supplying 19,717,288 tokens in total. It will function as an online crowdfunding platform and helps reduce friction between property owners and investors using smart-contracts and blockchain technology. First, property owners and developers can have the property tokenized and list it on the website. The team will select properties proposed for listing in order to ensure returns of 12-20 percent before listing. Investors, on the other hand, can research and investigate listed property to make an investment by buying stake using REAL tokens. Realisto works like many other real estate projects covered here. Basically, it allows real estate owners and developers to list and tokenize projects then offer them for curated investment opportunities. Developers and property owners will profit from the low-cost, high effi ciency and speedy capitalization of their projects by tokenization. Buyers of property will be able to get real profits from individual property value growth. In other words, participants can buy tokens emitted through platform by property developers or the tokenized property, thereby sharing the profits of individual projects. Additionally, token holders will be entitled to a share in the platform business. The platform is currently in beta and available for developers and investors. The system uses REA tokens that are available for trade at the IDEX. The ICO concluded on December 25 last year. Other real estate crypto projects include Stayawhile which deals in rental for furnished apartment rentals; Bitproperty which allows anyone to buy and invest in tokenized real estate property; Roofs, which facilitates buying and selling of properties in cryptocurrency; Share Estatesharestate.io, which is backed by real estate and holders can get a share of profits generated from rental payments and from sale of property; and Sqpay, which will see token holders earn a share of profits from commercial property investments by the company. Others also include Atlant which facilitates tokenized ownership and global peer to peer rentals; Realt, which is a AirBnb-style marketplace that facilitates short term rentals REALT tokens and this happens without commission or currency conversion fees and service charges or middlemen; and Realcoin Realt coin, whose holders are entitled to incomes and profits from rental property by the company. Roof is a startup that deals in social signal marketing. It also runs merchants that can be integrated by small and medium real-estate businesses on their websites. These sites in turn gets a higher number of potential customers. They also hope to help real-estate companies get more customers by setting up region based business directories and indexing of the property in their own overall large real estate search engine. The project uses a PoS coin with a block reward of 25 coins and a total supply of 600 million. The cryptocurrency can also be traded on exchanges. They are listed on the Coinexchange.io. They published the specs of a new blockchain Roofs Reloaded V2 (different from the original Roofs 1) as well as a new project Housing coin, on March. RxEAL, which uses RXL tokens, is a platform that lets users to secure leasing and rental deposits for lessors and lessees through its distributed technology and smart contracts. The deposits are held in smart contracts and this prebvents the comingling of funds, eliminates need for operating separate accounts and enables tracking of deposits. Basically, the deposit is stored during the rental period or until a mutually approved action is initiated by parties. What's more? It facilitates cryptocurrency deposits which could come with profits if the value of the crypto increases. RxEAL, however, allows for participants to store deposits in more stable coins Dai by Maker or even ETH. The system also helps in decentralized dispute resolution thus eliminating legal fees lost as a result of trust issues and dispute resolution. Dispute resolution on the platform is done by arbitrators (three verified, independent and randomly for each case) registered on the platform and paid arbitration fees (in cryptocurrency RXL) to participate in the decision making according to information supplied about the case. The company hopes to solve the issue of trust relating to storage of rental deposits -- funds meant to cover any losses suffered by the rental property. For instance, the safe storage of large amounts of deposits and the trust issue relating to the storage of deposit -- sometimes it takes months for the person leasing to receive back their deposit even after the agreement ends. Sometimes, these disputes end up in courts and both parties spend a lot of money. The tokens are used to pay fees, which is proposed at 2.3% for 0-1500 USD equivalent deposits (minimum 4USD); 34.5 USD + 0.3% for 1500.01+ USD equivalent deposits; fixed arbitrator commission of 9 USD equivalent in case of the dispute. They will be onboarding the first clients in the second quarter of this year and expand in the U.K and U.S in the third quarter. The project raised 318.89 ETH or $262 100 in the March ICO to add to their previous seed fund and pre-sale proceeds. Share Estate allows you to invest in real estate all around the world through Ethereum blockchain. Token holders can then receive a net profit share of the project. The company generates lease payments and subsequent from sale of the object. The SRE token is therefore backed by real estate assets and less volatile. Holders can access the platform --even on mobile -- and choose the projects they want to participate in. The properties are distributed in various locations around the world including Miami, Los Angeles, Sydney, Holders can also use facilities such as hotels for free in case the object of the fund is a hotel. The value of the token grows with the value of property. The startup held the pre-ICO between 02.10.2017 — 04.11.2017 while the ICO took place between 01.04.2018 to 01.05.2018 at the price of US $1 for 1 SRE token. They started developing the concept in April 2017 and put a legal infrastructure in June 2017 and then listed on stock exchanges in January this year. Finally, they launched the platform on February this year and real object purchase kicked off in April as did the smart contracts testing for dividend payment. The platform will facilitate cross-border transactions in simple, fast and reliable methods. It also supports registries of blockchain that create legal ownership. Token Estate, which run by Tokenestate SA incorporated in Switzerland, is a platform for individuals and companies or anyone to trade real estate crypto-securities or asset tokens. At the same time, investors can put in a small amount of investment and without any investment periodic obligations. The platform allows the tokenization of property through the Swiss FINMA compliant Tokenization as a Service (TaaS) platform. Thus property owners launch their cryptosecurities and offer them for sale worldwide, accessing less costly processes and wider audience. The platform will generate revenue from fees on issuance of real estate tokens, and from subsequent fund performance fees. The fund will generate revenue from rental income of the underlying properties and capital gains upon selling properties or unwinding the fund. The net profits will be shared among TEM token holders. TEM are ERC20 tokens on the Ethereum blockchain. Holders also get voting rights on the platform and they can allow or disallow decisions regarding platform development. The investments will be guided by and compliant to the regulations in the sector. The investors will also undergo through KYC/AML procedures. The company will start the private sale soon and anyone can currently apply for white listing to determine if they can participate. Realista is powered by NEO platform and is available for both iOS and Android in addition to web application. It is a blockchain-based project that helps sellers and buyers to easily access property they can trade with crypto and fiat. They eliminate the high fees in the real estate industry -- which is the industry's current biggest challenge, make it easier and fast to search for localized property in the oversees markets, and make it possible to invest in real estate with little amount of funds. They currently have more than 40,000 registered agents across Australia and New Zealand. Besides, the company is planning to expand in USA (currently in beta testing), UK and Singapore (to go beta testing this September). With it, users can find property worldwide for sale, instantly. It currently has attracted 24,000 members. It allows users to build feeds that keep them informed when new properties are listed on the market. The application, which officially launched in July last year, also enables anyone interested in a property to take 3-D virtual tours of the property and focus on the details they need to see before making the decision they need to make. It will also have chat and otehr features on the mobile (to launch later in the third phase). Property owners upload data for property and access to this is paid in Realista tokens (RET) (just a small fee). On the other side, clients can apply for property renting online directly through the property. 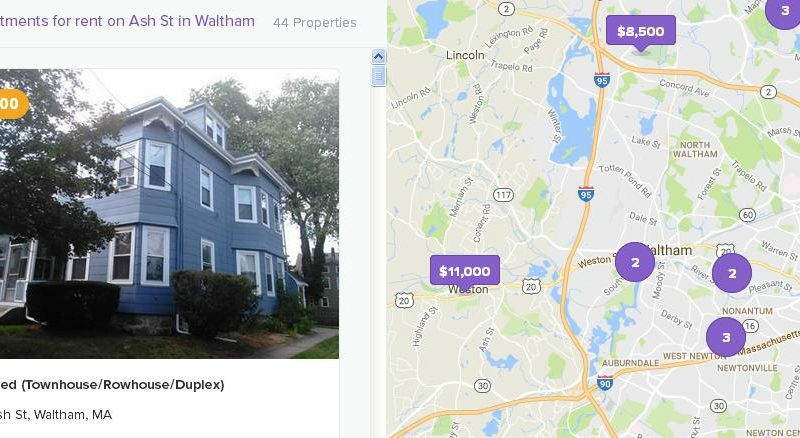 Users can also earn RET by leveraging their social media to drive property listings and connecting landlords with potential property buyers or renters (increasing organic reach and conversions). The startup will hold its presale from July this year and the crowdsale in August. ZABER coin or ZAB project is run by a team that has extensive experience in business, real estate, investment, finance, IT and law. Basically, the team hopes to invest the proceeds from investors by buying real estate in emerging real estate markets and then sell them after refurbishments, for instance, hence gaining profits to be shared. The holders will earn from the intrinsic value of each Zabercoin as well as sustainable income stream from either rental income or company earnings strengthens. The tokens, which are ERC20 tokens, are redeemable for share certificates after 5 years from the date of the ICO to allow time to buy the property. There will be 10 million Zabercoins available. The system employs an open-source blockchain codebase and the token is backed by real estate assets and is tradeable on exchanges such as Bittrex, shapeshift and Poloniex. There will also be merchant applications and processing services from the company, in order to ensure usability of the coin worldwide without issue. After the March ICO, the company wants to purchase real estate property in emerging markets and proceed with development of the platform. The startup held an ICO from Dec to Jan 16 after a November pre-ICO. While some platforms use their platform currency value as collateral when lending, ETHLend and Brickblock work by the idea of tokenizing real world assets such as real estate to be used as collateral for loans. After tokenization, the collateral can be expected to maintain its value over a period of time. Toeknizing the digital assets means they can be traded on the marketplace. The platform works on Ethereum blockchain-based smart contracts. You do not even need a bank account to lend or borrow since you can borrow cryptocurrency. They, however, added fiat-based loans and installments in the forth quarter of last year and more tokens and altcoins lending is coming in the forth quarter of this year. The platform uses LEND tokens for tokenization and for payment. Ownership of tokens provides the right to use platform and a 25% discount on deployment fees when paid with LEND. It is not a share or entitlement of any kind. They sold 1 million tokens in an ICO ended in the forth quarter of last year. BrickBlock, whose work is to invest crypto from users into real-world assets, raised $12 million USD from its ICO. Home Loans works more like TokenLend, which failed to raise enough funds from investors. It provides home loans or real estate lending (mortgage) for individuals, local partners, crypto communities, and businesses and thus these can buy or invest in property without ordinary loans from banks. Built on Ethereum blockchain, Home Loans lets people invest in loans secured by real estate around the world. These loans are accessible for anyone who owns HOME coins which is based on the Ethereum platform. It assesses creditworthiness of a customer in just 20 minutes when one is applying for their first loan. This is done using sophisticated algorithms. The credit histories dfor customers are stored on the blockchain for future lending purposes. It has the advantage of lesser interest rates for loans and users can get higher credit ratings as they go on using the platform. It stores aggregated big data and credit histories on the blockchain. The platform also provides users with the ability to purchase property anywhere in the world. Converting their savings into HLCoin currency exposes people to getting potential yields from real estate lending, property purchase and protection of their income from inflation. LendingCoin is a cryptocurrency that is backed by real estate. With it, investors can partner in larger commercial investment projects instead of seeking for loans elsewhere, for instance from banks. Token holders can get financing and use it to grow their portfolio of real estate, invest in real estate, refinance their homes, or use that money the way they like. They can then pay that amount of money in small rates and using the TLC. Therefore, although the person gets financing in form of USD, they have to get cryptocurrency TLC to repay that loan back, and therefore, this creates more demand for the tokens. The lending platform will launch in the third quarter of 2018 and become available for non-US investors in the forth quarter. TokenLend, users around the world could invest in real estate secured loans using cryptocurrencies or fiat. Small investors, in their idea, would use small amounts to buy into secured loan-based investment portfolios and thus earn a competitive, predictable, and consistent return. The investors would be able to access carefully selected and pre-checked secured loans, especially from trusted EU loan originators. In other words, there was to be a strict loan selection criteria. TokenLend idea was to re-validate information received from loan originators, including borrower’s personal details, pledge information, appraisal, and LTV ratio. Lenders basically add loan proposals and then once reviewed, the loan smart contract is created and added to the platform. TokenLend was based on Ethereum blockchain and works on distributed ledgers, and was being developed by the team that created the popular PC software DAEMON Tools. To get the loan, ideally a user would transfer TLN tokens which are native tokens for the platform-- and then they get Loan Participation Notes (LPN) (which are linked to the user’s ETH wallet address) that they then use to communicate with lenders in the marketplace. The amount of tokens from all users would be transferred to the loan originator's account as loan principal. SALT Lending is a platform that allows people to list their property and get cash loans. Moreover, it facilitates P2P lending where crypto holders can lend each other and receive interest and regain their crypto assets when the loan is paid back. The interest rate will depend on the agreement between the parties involved and there is no repayment fees. Further, there is no credit score required and the person seeking for a loan only needs to have cryptocurrency assets. All the loans are secured with legally compliant smart contracts. Basically, once a person gets a person to lend them money, the crypto assets acting as collateral are kept in a fully-audited, ultra-secure architecture until the loan is repaid. Lenders need to pass the SALT Lending Suitability Test to become an accredited investor. The borrowers are then matched with capital from the extensive network of lenders. It works in three value tiers and products: the first is membership tier, with which a person can access up to $10,000 USD funds and repay within 3-24 months; Premier which avails up to $100,000 and the borrower can access USD, EUR, GBP, JPY, RMB with a repayment period of between 1 hour and 36 months; and Enterprise where the borrower can access up to $1,000,000 and get ad hoc currency selection and metered terms. All member categories will access market data and educational resources and loan management web portal, but the Premier and Enterprise categories get additional features such as as credit and debit cards, portfolio management, early access to products, API integration (only for enterprise) and access to SALT Hardware Wallet where actual price may vary.